In a village an old woman sitting under a tree prepared vada’s for sale. A crow sitting on the tree waited for an opportunity. When the woman was looking away, the crow swooped down and flew up and away, picking up a delicious vada in its beaks, all in a flash. As it sat on a branch of a nearby tree, ready to savour its booty, a fox came along. . The crow was thrilled to hear these words. Not to disappoint its appreciative audience, the crow obliged. As it opened its mouth going ‘kaa kaa’, the inevitable happened. The fox grabbed the fallen vada with alacrity and quietly slipped away leaving the crow in a daze. Usually the grandma, a simple soul, finished the story and made her demand like the child should now go to sleep or eat its food without further fuss…The moral of the story was not explicitly stated. And we simply understood it as: the crow was foolish and the fox wily. Grandma’s, in the generations that followed, grew more articulate. They would point out how it was unwise of crow to foolishly embark on what it was not capable of, falling a victim to flattery. Some crow lovers, not happy with the story, added a second round where the crow, learning from its experience, would hold the vadaunder its claws and belt it out raucously to the fox’s dismay. In some versions, the smart crow, till the end, holds fast to the vada while obliging the fox with song and dance. In all these versions the story is one of getting into deep waters and followed optionally by learning from one’s experience and getting out unscathed. At one stroke this invalidates the versions that let the crow get away with the vada. All said and done the crow was a thief stealing it from the old woman. Unintended consequences of tampering an old tale? ‘I know,’ said the Mango Tree. They laughed. They said, “The old man ha s gone out of his mind. 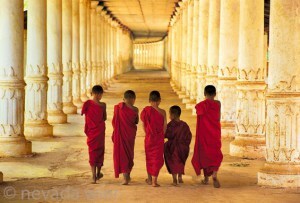 Why send five when one is needed?” But the old man was insistent, so five started on the journey. 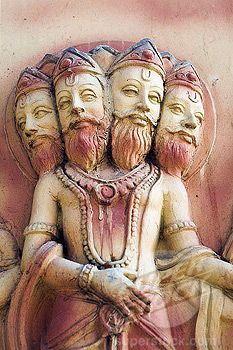 There was once a time when all human beings were gods, but they so abused their divinity that Brahma, the four-headed creator, decided to take it away from them and hide it where it could never be found. Where to hide their divinity was the question. So Brahma called a council of the gods to help him decide. All the gods agreed that this was the perfect hiding place, and the deed was done. And since that time humans have been going up and down the earth, digging, diving, climbing, and exploring–searching for something already within themselves, deep in the center of their own being, . This is a story written in the style of Panchatantra. Keeping in mind the genre all gore is scrupulously avoided. And, if you imagine this story in some ways mirrors the current reality around you, it’s quite far-fetched, I assure you. Though, I concede it is fun finding the parallels. In the forests of Uttara Dandkaranya, there lived a lion named Mahodhara, the king of the forests. He had taken up residence in one of the many caves in the hills. In his unchanged daily routine, he woke up very late in the morning and went out to find his prey by noon. An afternoon siesta was followed by a short tour of his kingdom to find out the state of affairs. Predating the arrival of Mahodhara, in the deep end of the same cave lived Mooshika and his large family of mice. The new tenant did not pose too much of a problem for Mooshika’s family since the lion was out of the cave for many hours during the day and was mostly asleep at other times. In fact, for the young, the lion was a source of amusement as they had immense fun scooting all over the sleeping animal’s body; especially the thick mane proved ideal for playing hide-and-seek and for swinging. While, they were careful to stay away from the deadly paws of the lion. Of course, it was not fun for Mahodhara. His sleep was disturbed by the mice and he felt ticklish too. He did smite a mouse or two. But that didn’t keep them away. He had to find a more lasting solution. So he consulted his vizier, Puccha, the fox. The fox gave the matter a serious thought. While he was pondering over the possibilities, he saw a cat, looking starved, dragging himself in search of elusive food. It was the ‘Ah’ moment. It was not difficult for him to persuade the cat. So a deal was struck. ‘Puccha, what have you brought here? You know I don’t pounce on near-dead animals. I like to chase them in the wild,’ roared Mahodhara. Marjaraah nodded his head weakly in assent. A circumspect Mahodhara agreed to the arrangement. So it was – the cat sitting in front of the mouse-hole diligently day and night, living on the meat brought by Mahodhara, his bones disappearing slowly beneath layers of flesh. With the cat sitting out there, the mice could not move out for several days until Mooshika decided to things in his hand and break this impasse else his folks would die of hunger. Marjaraah was startled to hear a voice. The cat was pensive for a few moments. He knew if he did not agree, the mice would anyways find their way out by tunneling an alternative route. Mightily bored with long hours of nil-action sitting in front of a hole, he also longed for those breaks away from the claustrophobic confines of the cave – had he known, he might not have taken up the job. And, those juicy berries. So, for many days and months, the cat and the mice enjoyed their sneaky outings when the lion was not home. Once the total clamp-down was lifted, gradually over the days the cat got a little careless and the mice more adventurous. It was like water at first leaking through a pin-hole quietly and progressively enlarging into a large breach creeping towards a complete break-down. The lion too began to notice: at first sighting a mouse scampering across the cave-floor and later there was even an occasional vermin daring to get into the thick of his mane. He observed the cat had grown fat, snoozing on duty, sluggish in his movements and letting a mouse easily slip past. A worried Puccha was tasked with finding a replacement. Sound advice from whichever source must be accepted, Marjaraah thought to himself. He thanked Mooshika profusely for the life-saving tip-off and promised to return the favor some day. ‘Eh?’ the languorous lion was yet fully alert. Marjaraah bowed out without any harm as the promise of a replacement had assuaged the lion in his expansive frame-of-mind. Mahodhara and Picchu waited for the replacement to arrive – he never did. When Picchu approached other cats for the job, it was turned down by one and all – Marjaraah had tipped them off about the boredom and the hazards of the job. Fearing rebuke and much worse over not solving the problem, Picchu too took off never to be seen again. In disgust and disbelief Mahodhara went in search of a new dwelling free of mice. Mooshika threw a ‘Didn’t I tell you?’ glance at a surprised wife.